Posted December 27, 2017 by admin & filed under Uncategorized. Your transmission is one of the most complicated and intergral parts of the your vehicle and an extremely-expensive component to replace. 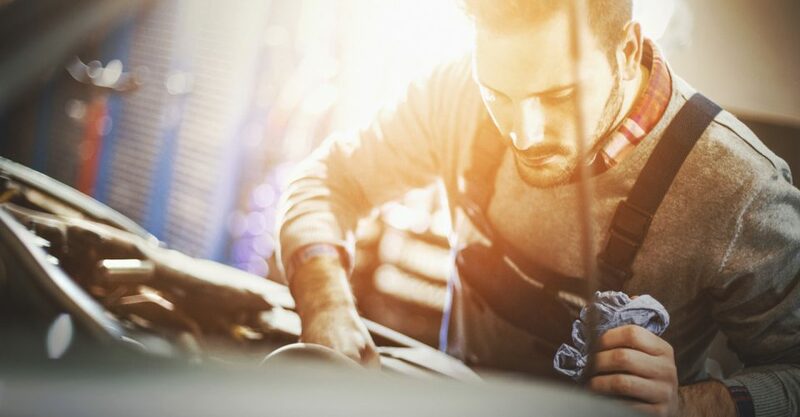 For these reasons and several more, it’s important to take care of your transmission and make sure it’s in great shape. At high temperatures, the transmission fluid loses its lubricating power, which could result in premature failure. When that happens, the next step is a transmission rebuild or replacement. – The fluid should be changed as recommended in your owner’s manual. If it looks dark or dirty, your best bet is to have a professional mechanic perform a transmission flush. It’s recommended that you bring your vehicle in for the transmission to be inspected every 30,000 miles or so. Regular servicing can provide longer life expectancy, smoother shifting and increased performance for your transmission. If you have any questions regarding your vehicle’s transmission, be sure to give us a call at 620-654-3445 or click HERE to set up an appointment with our ASE-certified technicians!